Luxury mountain chalet w/ deck & panoramic views from the private hot tub! This luxury mountain home boasts epic views and is perfect for couples and families who don't want to scrimp while on vacation. Come enjoy all this opulent home has to offer, including an incredible deck and hot tub. 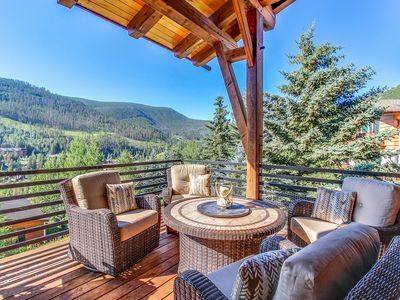 You'll be in West Vail, three miles from Vail Mountain, in a quiet neighborhood with the prefect balance of access to conveniences and seclusion. This home has a garage for one car, and the driveway will accommodate two more. Recently built, this home has many amenities and upscale finishes. 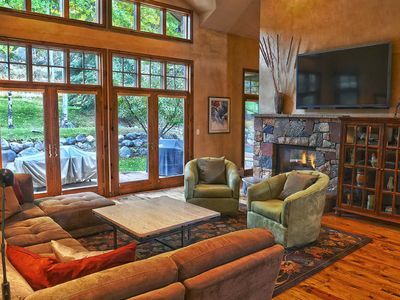 The floor-to-ceiling windows provide stunning views of White River National Forest. Wood floors, ceilings, and furnishings, as well as the open-concept design create a comfortable and homey (yet lavish) feel. 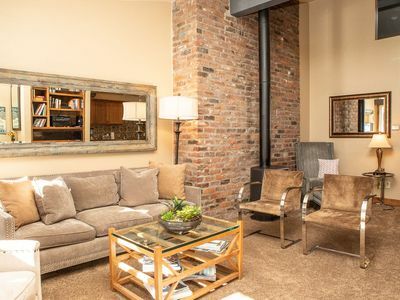 The living area has a fireplace and soft, comfortable furniture, as well as a flatscreen cable TV and WiFi access. This home also features an additional TV room and a mini-bar. Like the rest of the house, it also boasts a Sonos sound system you can control with the app from the device of your choice. The dining room has a table that seats six and plenty of natural light. The curved center island in the kitchen joins the two rooms and seats two. Boasting rich wood cabinets, granite countertops, and stainless steal appliances, as well as a Breville espresso machine, this kitchen provides a premium space for meal prep. There's also a Kamado charcoal grill outside on the large deck, which features a fire pit table, gorgeous views, and plenty of comfortable seating. 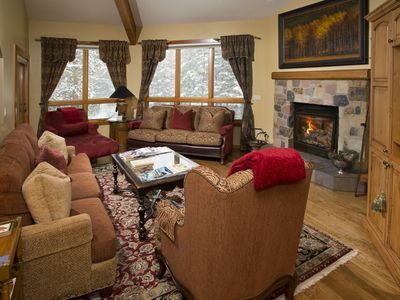 This four-bedroom, three-bath home accommodates up to 11 guests (10, comfortably), with a king-size bed in the master bedroom and views of the Valley and Vail Mountain, as well as a steam shower in the master bathroom. There's a queen-size bed in the guest bedroom. The third bedroom has a three-level bunk bed with a double on the bottom and two twins overhead. There's also a play teepee in this room. The extra room features a queen-size sleeper sofa with a solid platform, a desk, and access to the hot tub on the lower patio. 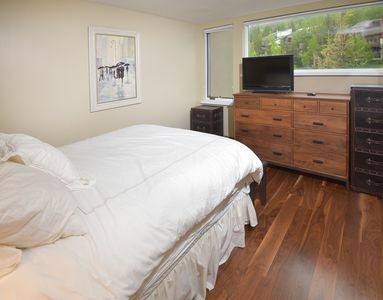 The lower bedroom even boasts a computer you can use! Just steps from the front door are Davos Trail and North Trail for quality hiking. 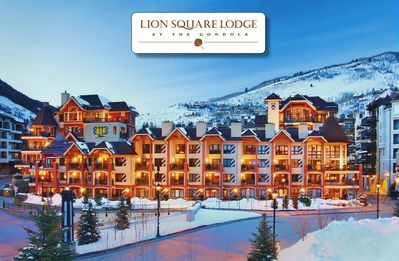 Unique shops, spas, and plentiful dining options, as well as outdoor concerts in the summer, are in the Village. 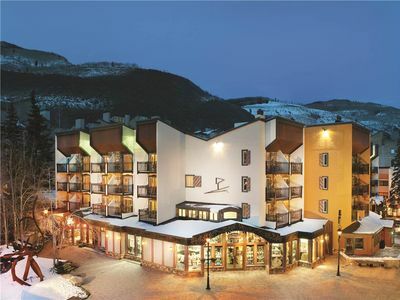 With 5,829 skiable acres featuring seven back bowls, all types of snow play can be had at Vail Mountain Resort from downhill and cross-country skiing to snowboarding and snowshoeing. 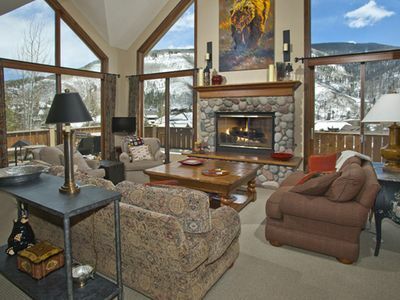 Satiate your desire for opulence, and choose this home for your next mountain getaway. Book your dates today! 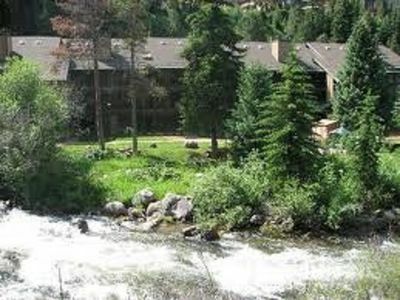 Contemporary Condo Steps away from Vail Village & Golden Peak!